Delivers efficiency and productivity to your monthly planning. The Task Pad™ organizes your notes for easy transfer to computer and enables you to capture e-mail addresses, contact names and phone numbers. 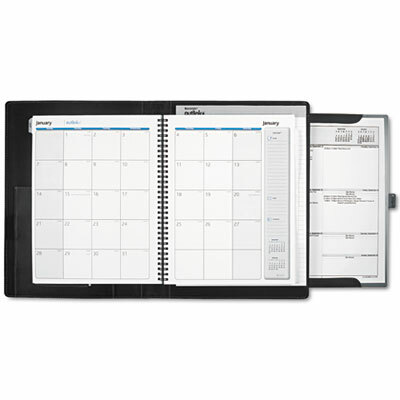 The Document Tray™ has a hard surface for writing or holding printouts of your computer calendar, contacts, tasks or e-mails. Delivers efficiency and productivity to your monthly planning. Simplify your life by streamlining the transfer of information from your computer to paper and back again. The Task Pad™ organizes your notes for easy transfer to computer and enables you to capture e-mail addresses, contact names and phone numbers. The Document Tray™ has a hard surface for writing or holding printouts of your computer calendar, contacts, tasks or e-mails. Includes monthly tabs.